This photos was taken in Valley Forge Park in Malvern, Pennsylvania. The wedding reception took place at the Philander Chase Knox Estate, which is a historic home in the park that has been transformed into a wedding venue. The venue is run by Robert Ryan Catering. This location in particular was just through the woods. I love the way the sun highlights the couple. The best time for photos is a coupe of hours before sunset. These two were so great together and natural to photograph. 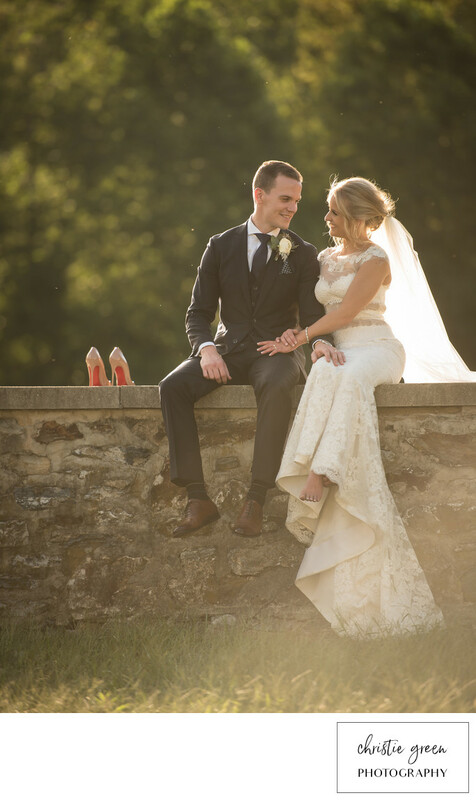 The bride's Christian Lou Boutin shoes made a cameo appearance in many photos.